It was all about my mom's bench. On that, more anon. But it was 1,400 highway miles start to finish. Going to California I did the 700 miles in two days. Coming back I did the same distance in one day and I'm suffering a severe case of road burn. Two signs of the times seen en route. 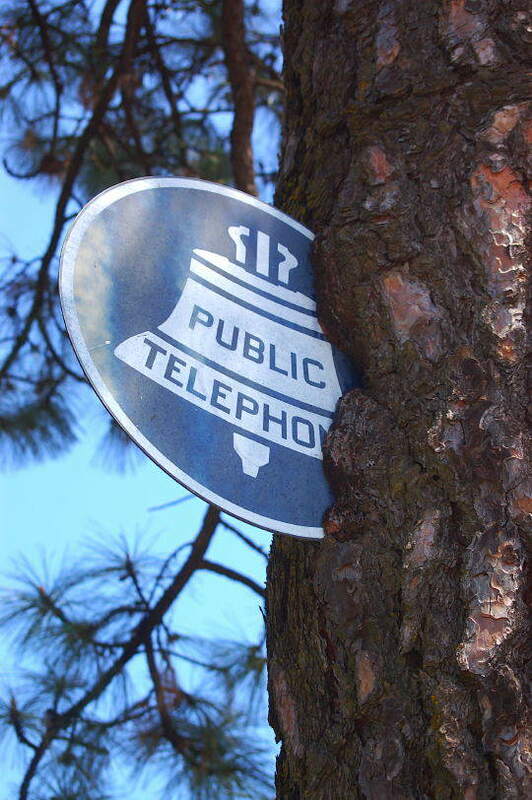 First, spotted outside a restaurant (The "Kalico Kitchen") in Paradise, California, proof positive that the public telephone network won't be back. Second. Available inside the "Kalico Kitten." Yes, it's disgusting. Yes, I ordered it. Yes, I am deeply ashamed of myself. I'll be a couple of days digesting all that happened as well as all that was eaten.